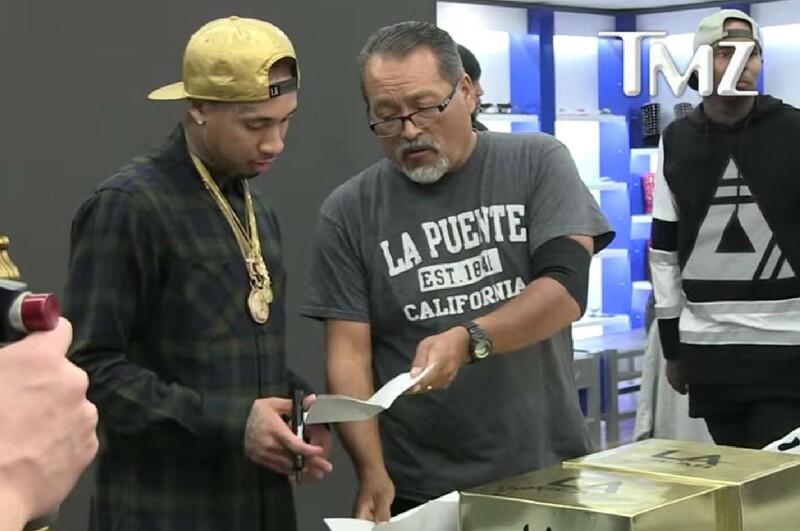 Tyga was served with legal papers while launching his new sneakers in L.A. on Tuesday. It all happened at Shiekh Shoes on Hollywood Blvd. 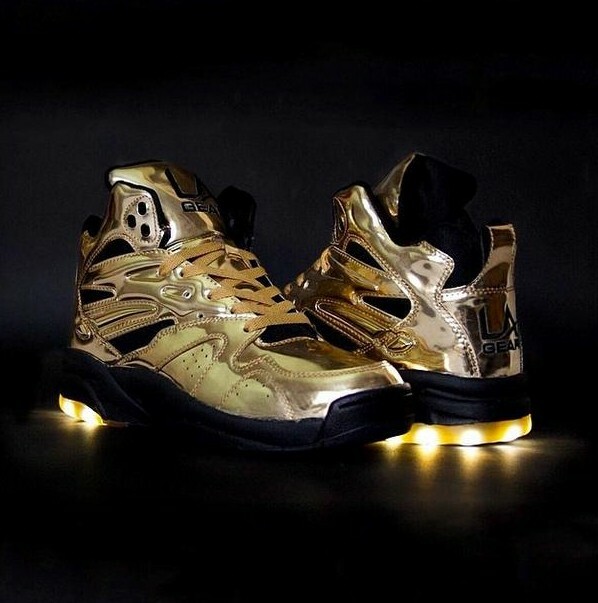 where Tyga was unveiling his “Liquid Gold Lights” sneakers for L.A. Gear (via TMZ). The sneaky server happened to be among the fans, who stood in line for him to sign their shoes. He waited for two-and-a-half hours, bought two pairs of gold sneakers at $120 each, and had them signed before hitting Tyga with the legal docs. Once he served him, an unknowing Tyga still took a photo with him. The process server didn’t say exactly what the summons was for, just saying that Tyga apparently owes someone money. While Tyga wasn't expecting to get served, he was happy to see his friends Christina Milian and Karrueche, who came out to show their support.